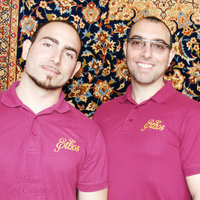 Our owners Nick and Dasos have been rug cleaning in London since 1999. We are Ethos Carpet Care Ltd t/a The Persian Rug Cleaning Company, a professional fabric cleaning company that specialises in the washing and treatment of Persian / Oriental Rugs. Our clients include many of Europe's most prominent rug collectors, auction houses, embassies and interior designers. Our services include rug washing using the full immersion system, rug repairs and restoration, colour repairs and urine odour removal. 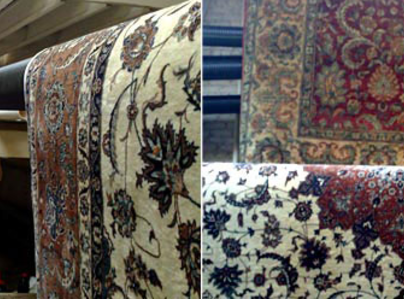 We carry out washing and restoration of all types of natural hand knotted and flat woven rugs whether they are silk, wool, and/or animal hair. We have a FREE collection and delivery service within the greater London area and we are always happy to give advice and recommendations before any work is carried out and approved. We offer a full residential and commercial service with no minimum number of rugs required to be washed. Just had the most amazing, friendly, efficient service from Ethos. I would highly recommend them!! Nick and Dasos Gonnella are very friendly, hardworking brothers who are efficient and courteous. They did an excellent job of cleaning my carpets.